"These are good vanilla cupcakes." Preheat oven to 350 degrees F (175 degrees C). Line 2 cups in a muffin pan with paper liners. Whisk egg white and sugar together in a bowl; stir in melted butter and vanilla extract until smooth. Add flour, baking powder, and salt and mix well. Add milk and mix until smooth. Divide batter equally between 2 prepared cups in muffin pan. Bake in preheated oven until cake is set, 10 to 12 minutes. 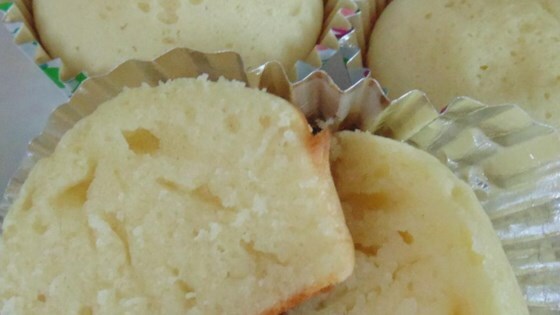 Use a heaping 1/4 teaspoon of baking powder to get the best results. They are so smooth! Easy to make and a great result! It was really buttery tasting, and had a odd texture.